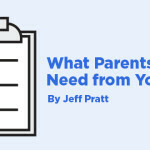 There are times when a student pastor or youth leader begins parent ministry only to realize that they don’t have the all the answers for those parents. Here’s the great news: you don’t need to have all the answers to have an effective parent ministry. What you do need to have is the right starting question. Parents don’t need another parenting lesson; they need to develop a heart that loves Jesus. 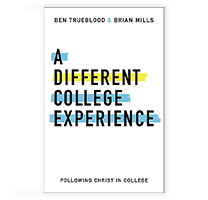 This begins with the student ministry leader seeing the discipleship of parents on the same level of importance as the discipleship of students. A common statement made in many churches today is: “We believe the primary discipler of a student is their parent.” This is absolutely true. Unfortunately, in the majority of cases this just means that we have parents who have never been discipled trying to make disciples of their students. That’s why we end up with students who are disciples of sports, grades, instruments, and everything else under the sun, instead of true disciples of Christ who see Him as the only thing of surpassing value in the world. As student pastors, we are quick to blame the parent here, but I would challenge that temptation with the question, “What are we doing in student ministry to disciple those parents? Develop community with them. This doesn’t need to be some sort of organized program. Just develop intentional relationships with them as a part of life. Use those opportunities to pour into them and allow them to pour into you. 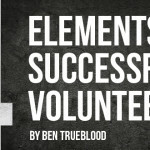 Give opportunities for the parents and student to participate in missions together. I don’t just mean in your own zip code. If we are truly going to disciple parents then that includes a Great Commission heart for the nations. When this happens in a parent’s heart it is directly transmitted to the heart of the student. 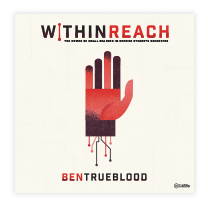 When you do a Bible study with a group of students, provide the same book for their parents and make sure to ask them what they are learning along the way. 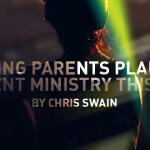 What are some ways that you disciple parents as a part of your student ministry? 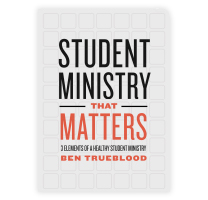 If you aren’t a student pastor, what are some things that parents need as a part of this discipleship?